Every business is a digital business. Technology is your innovation engine, and delivering your applications faster helps you win. 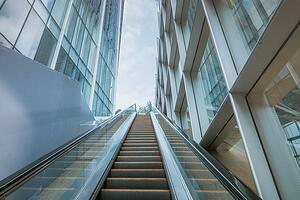 Historically, that required a lot of manual effort and complicated coordination. 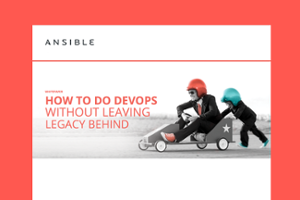 But today, there is Ansible - the simple, yet powerful IT automation engine that thousands of companies are using to drive complexity out of their environments and accelerate DevOps initiatives. Digital business is essentially software, which means that organizations that expect to thrive in a digital environment must have an improved competence in software delivery. No one likes repetitive tasks. With Ansible, IT admins can begin automating away the drudgery from their daily tasks. Automation frees admins up to focus on efforts that help deliver more value to the business by speeding time to application delivery, and building on a culture of success. Ultimately, Ansible gives teams the one thing they can never get enough of: time. Allowing smart people to focus on smart things. 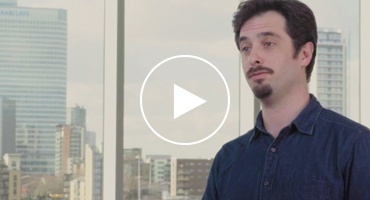 Using Ansible, we’ve been able to cut down certain processes from 17 hours to 3 minutes. Ansible is the most popular open source automation tool on GitHub today with more than a quarter million downloads per month. With over 3,550 contributors submitting new modules all the time, rest assured that what you are automating is covered in Ansible already, or will be very soon. Red Hat® Ansible® Tower is an enterprise framework for controlling, securing and managing your Ansible automation with a UI and RESTful API. Automation is an essential and strategic component of modernization and digital transformation. Modern, dynamic environments need a new type of management solution that can improve speed, scale and stability across the enterprise IT environment. 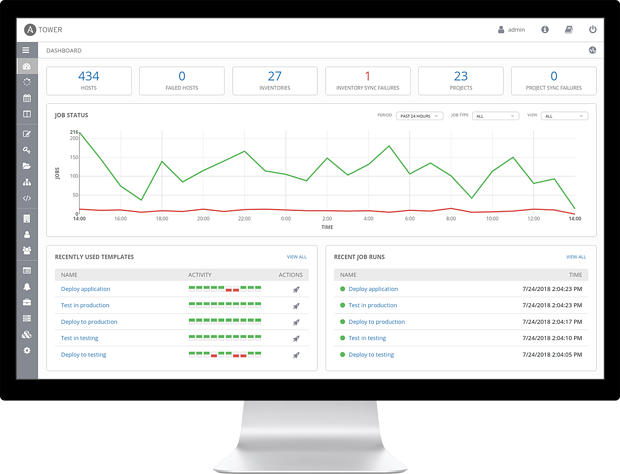 Red Hat now delivers strategic automation technology to enterprises by bringing Ansible automation across Red Hat’s management offerings - including Red Hat Ansible Tower, Red Hat CloudForms, and Red Hat Insights. Other Red Hat portfolio integrations include Red Hat Enterprise Linux, Red Hat OpenStack Platform, Red Hat OpenShift, and Red Hat Storage. Red Hat Training for Ansible, including the Red Hat Certificate of Expertise in Ansible Automation, is available globally. 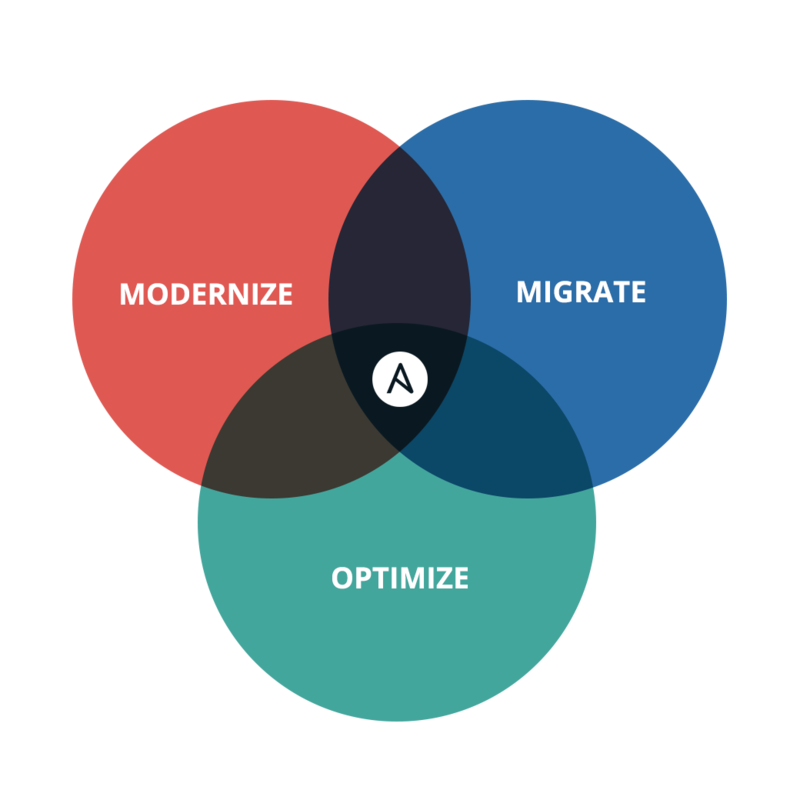 And, Red Hat Consulting can help your organization successfully adopt and integrate Ansible automation to create and standardize centralized automation practices that add business value and build a strong foundation for DevOps. We analyzed the numbers to see what resources we deployed and how much time it took, and we realized we saved almost 10 years of time spent waiting for resources to be delivered and almost $5 million in soft savings. 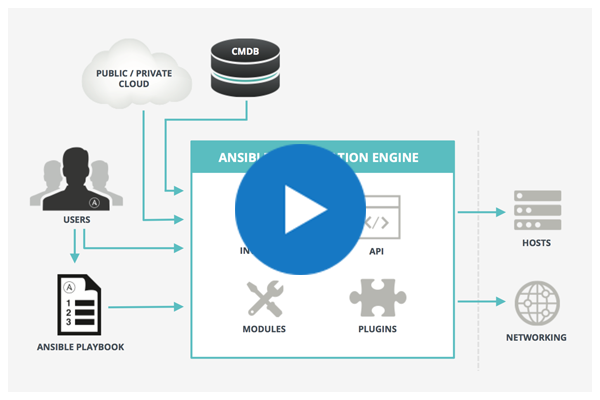 The Ansible automation integration in Red Hat Insights, Red Hat's predictive analytics and actionable intelligence platform, enables automated resolution of critical security risks by dynamically creating Ansible Playbooks. Unless automation is designed for teams, it's just another tool. For it to serve people, automation needs to be smarter and simpler. Simplicity grows more important the more people it impacts. That’s why Ansible is automation designed with everyone in mind. 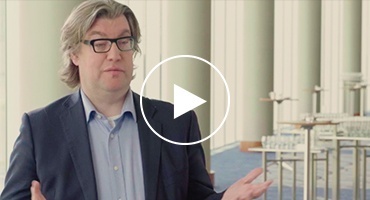 DevOps can help organizations that are pushing to implement a bimodal strategy to support their digitalization efforts. Ansible is the first human-readable automation language that can be read and written across IT. No matter what role you have in the organization, or how technical - Ansible gives you a common language to describe your IT infrastructure. I’m just getting started with Ansible. We’re expanding our use of Ansible. I want to get involved in the future of Ansible.